Daniel T. Sawers is a graduate of the University of Tennessee and the Thomas M. Cooley Law School. 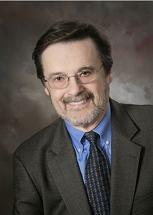 His more than 35 year legal career was focused on representing injured workers. He is a co-founding partner of Sawers and Sackel and currently serves in an of counsel role. Dan's philosophy in founding the firm was that injured workers deserve the same focused legal representation that employers and insurance carriers receive from the attorneys they hire; and that the best way for an injured worker to protect his rights and maximize his benefits is to be represented by a firm that only practices Workers Compensation Law, a firm dedicated in all aspects to the worker and his claim. At Sawers and Sackel we only represent injured workers, we never represent employers or their insurance carriers. All of our resources, attention and expertise are directed toward the injured workers of Western New York, just as Dan envisioned it decades ago.